Pro-Russian militants launched 23 attacks on the antiterrorist operation forces. Since the beginning of the day, pro-Russian militants launched 23 attacks on the positions of the antiterrorist operation (ATO) forces in Donbas, wounding one Ukrainian serviceman, the ATO HQ said in its evening update on 3 January. In the Mariupol sector, they fired with infantry fighting vehicle guns and grenade launchers on Shyrokyne, Pavlopil, Maryinka and Vodyane. 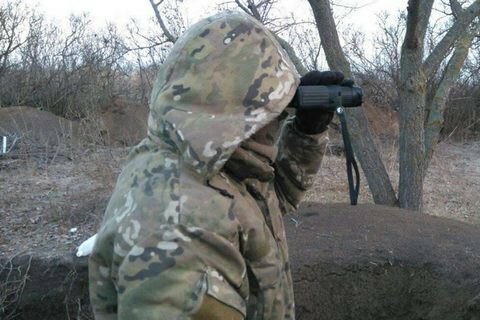 Snipers targeted Shyrokyne and Talakivka. In the Luhansk sector, they repeatedly fired with grenade launchers and small arms on Novozvanivka. In the Donetsk sector, the militants used 82-mm mortars against Luhanske and small arms against Zaytseve. On 2 January, two servicemen were killed and two were wounded as a result of violating the gun safety rules in a military unit in the ATO area near Maryinka. Ukrainian president: "It's not going to be easy, but worst is behind"